the thrill of it all - moments of joy in the wedding chaos: pre-wedding shoot - Hosier Lane and Degraves St, Melbourne. 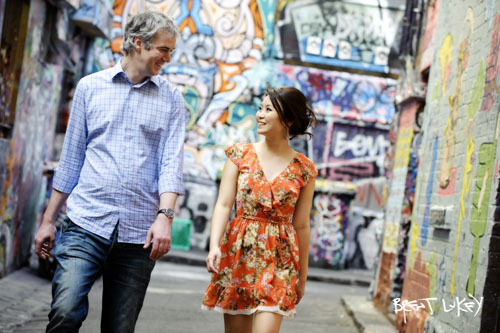 pre-wedding shoot - Hosier Lane and Degraves St, Melbourne. Shot a cute job for a couple who needed some photos to show at their Malaysian wedding next week. I'm shooting their Melbourne wedding this weekend. Hope the rain holds out.